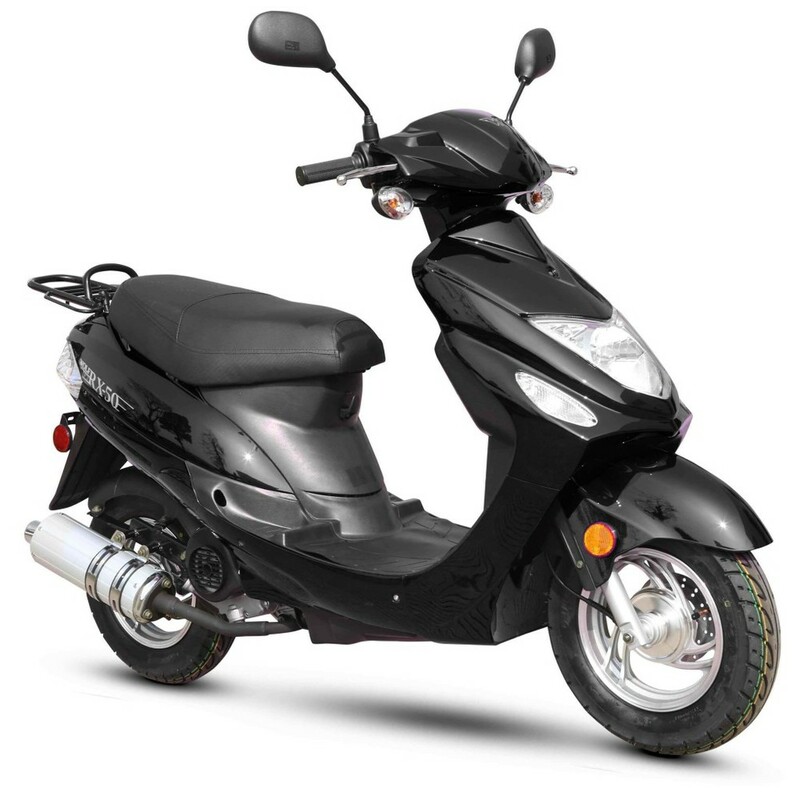 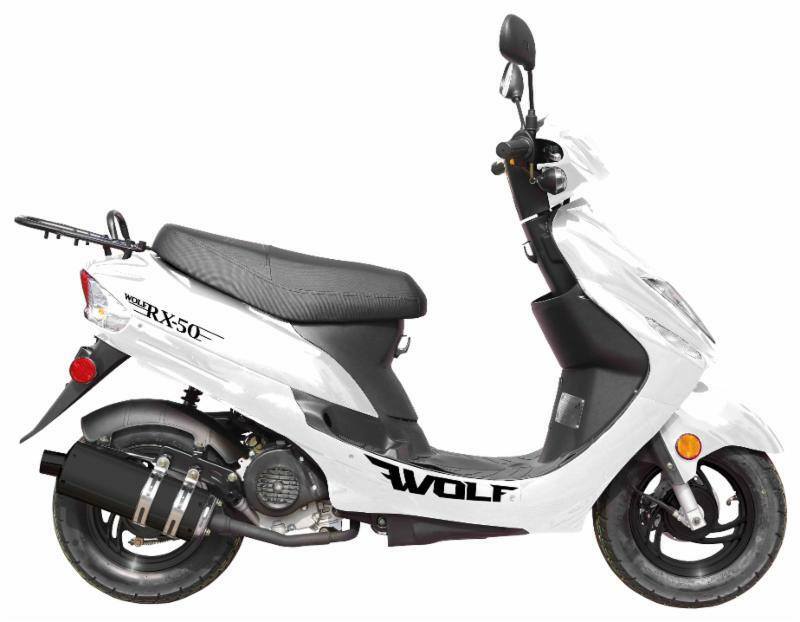 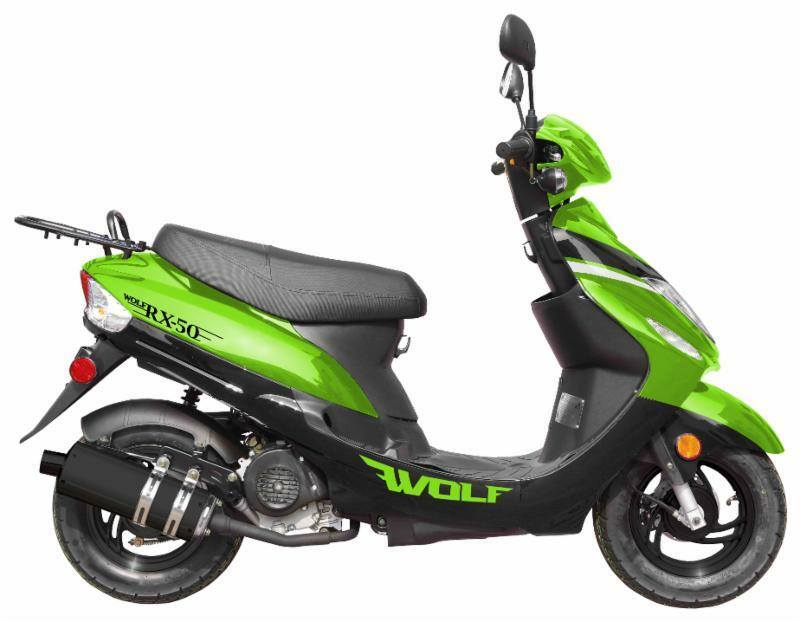 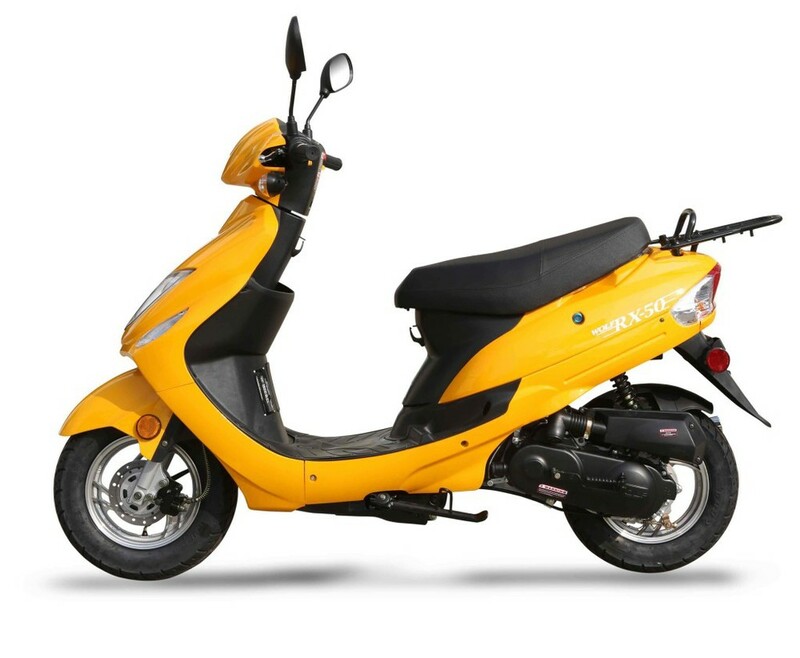 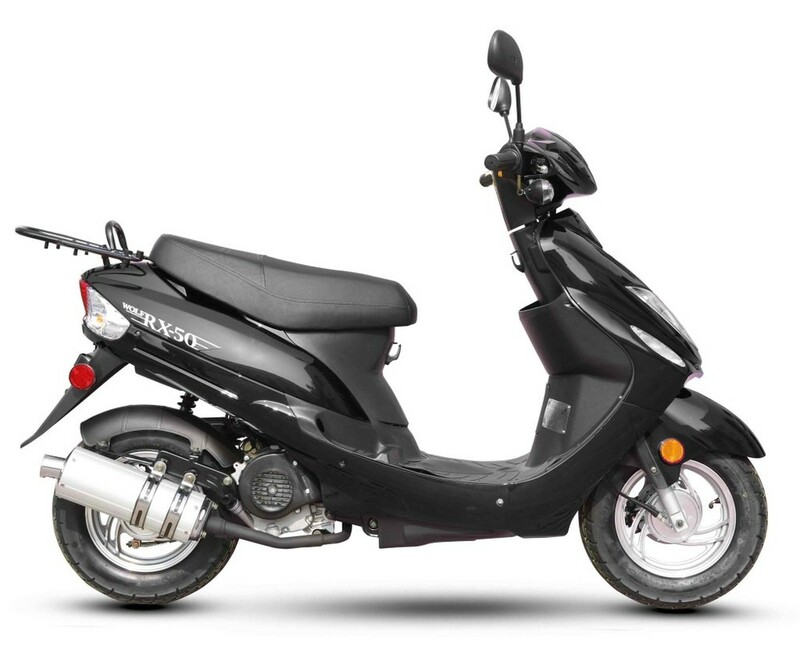 As with all Wolf Brand Scooters, the RX-50 comes with an upgraded Performance Carburetor, Maintenance-Free Battery, Duro Tires, NGK Spark Plug, and more. 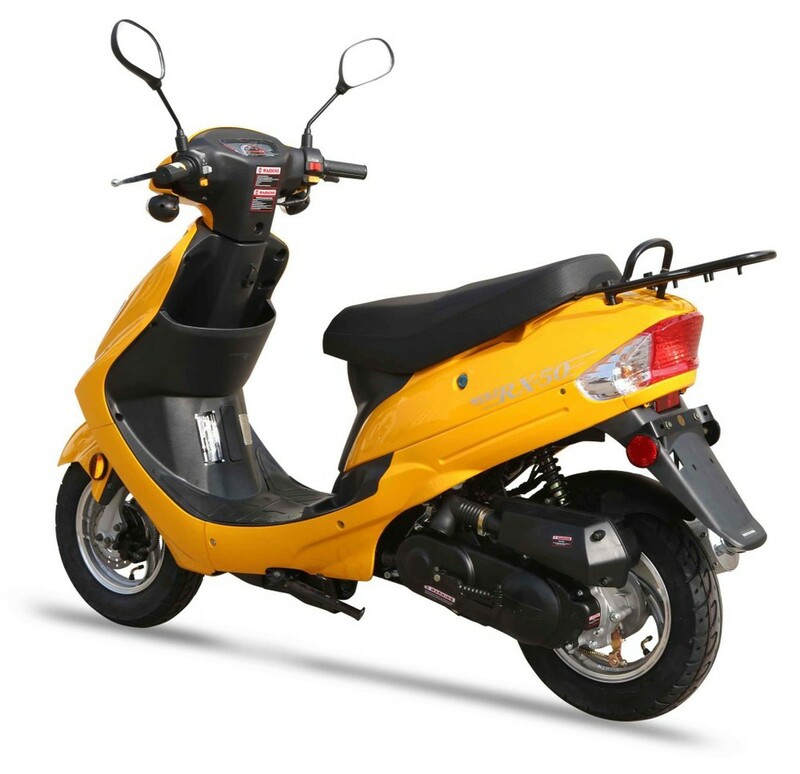 *price includes freight and prep..
*"comprehensive" includes all non-wearable components on bike where failure is caused by manufacturer defect only. 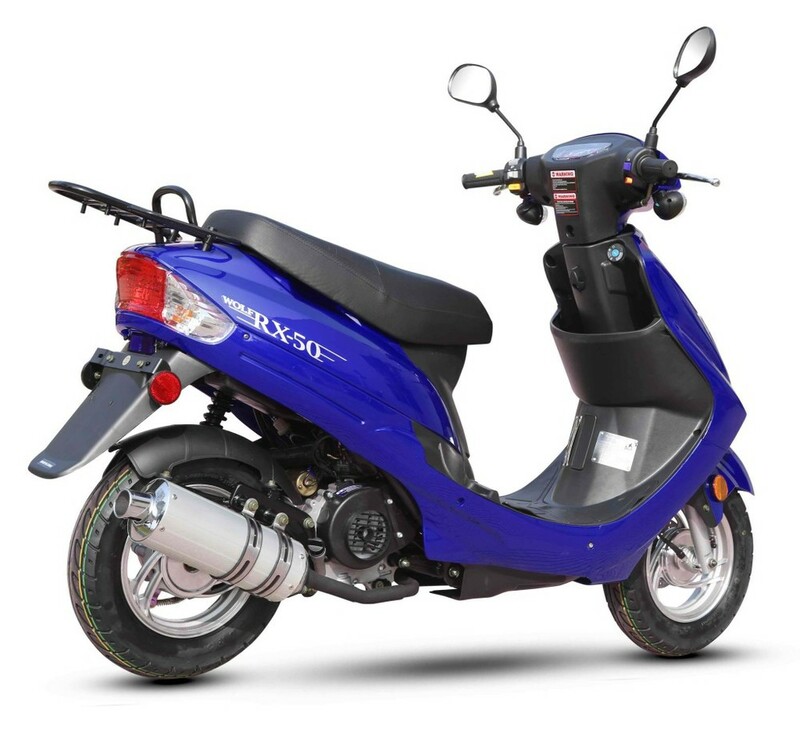 Does not include parts that wear naturally over time and need replacing at maintenance intervals, such as: batteries, light bulbs, belts, chains, oils, chemicals, lubricants, tires, brake pads, cables. 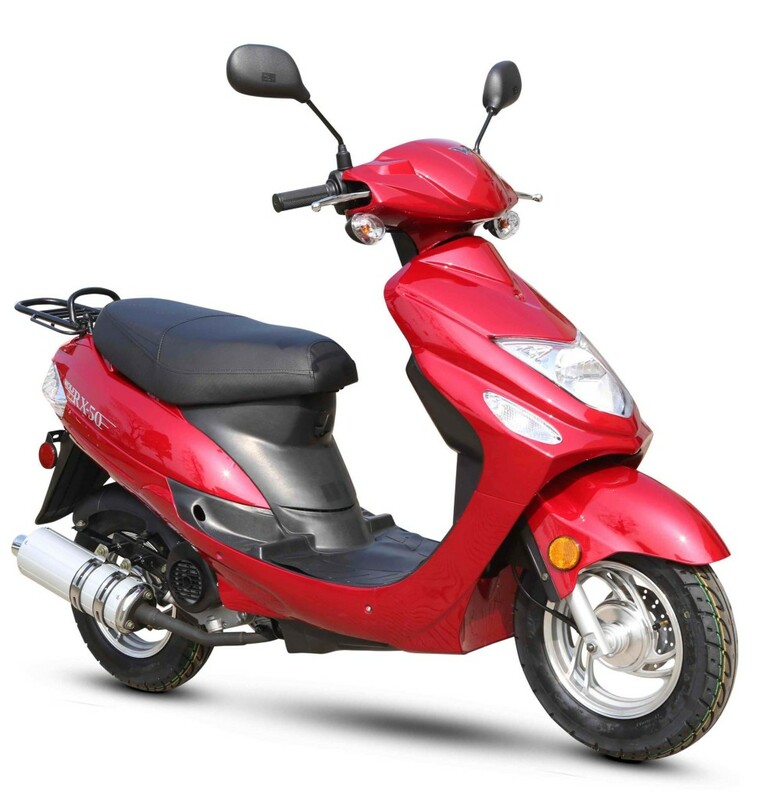 Warranty does not cover crash damage or failure of components from neglect of maintenance schedule. 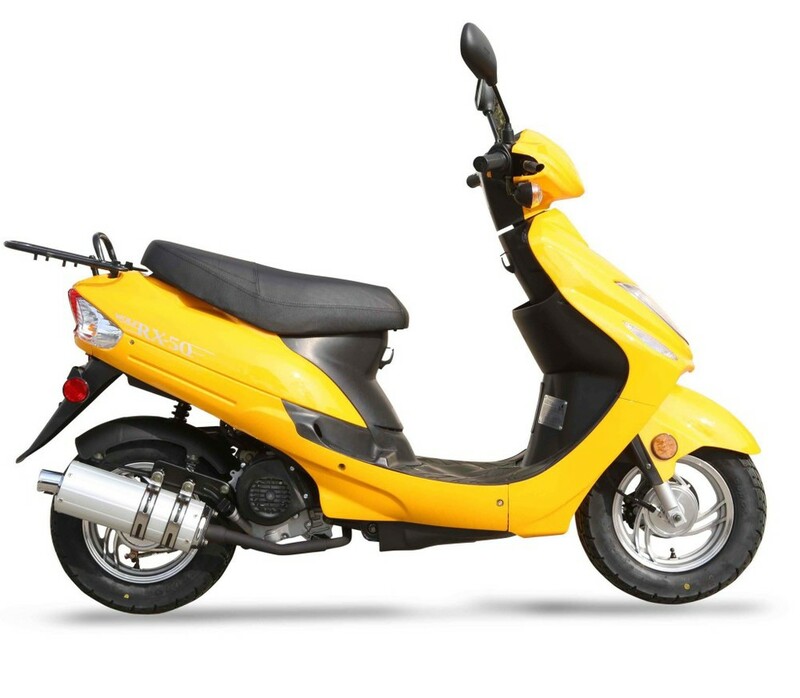 *does not include applicable tax, title, registration, other Department of Motor Vehicle charges, installation of accessories or performance upgrades, de-restriction.